One of the questions I get asked most often is “Where is the best place to eat before a runDisney race at Walt Disney World?” This is such a difficult question and something I struggle with before every race. 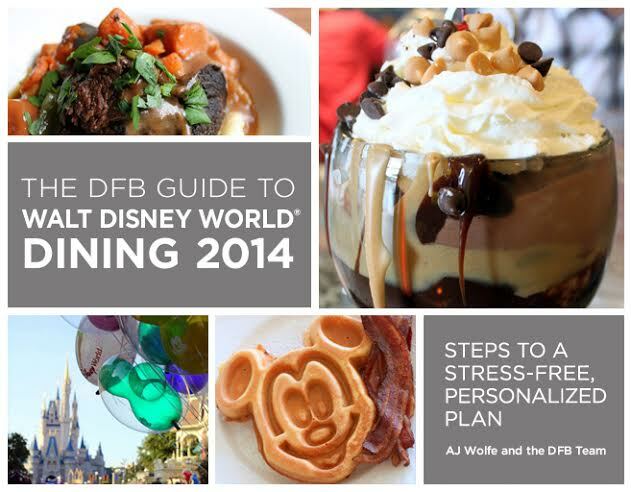 Luckily, WDW has a TON of dining options, so there is generally something for everyone. Here are a few of the places I have dined at before runDisney events…the good, bad and meh. So I settled for the potatoes, which were good but just didn’t hit the spot. Also, the restaurant is very loud and busy so I didn’t enjoy the overall experience for before a race. You can read my full review here. 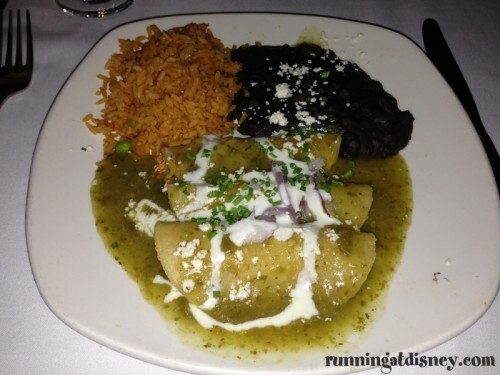 Oh look…more Mexican food! Maya Grill is an absolute hidden gem at WDW. Fantastic food, fun entertainment and it’s pretty easy to get a reservation. Before the 2013 Princess Half Marathon, my fellow Mexican food lover Amanda and I headed to Maya Grill to fuel up with some of our friends. We shared a giant bowl of guacamole to start, which was some of the best guac I’ve ever had, and I ordered the Grande Taco Platter for my entree. 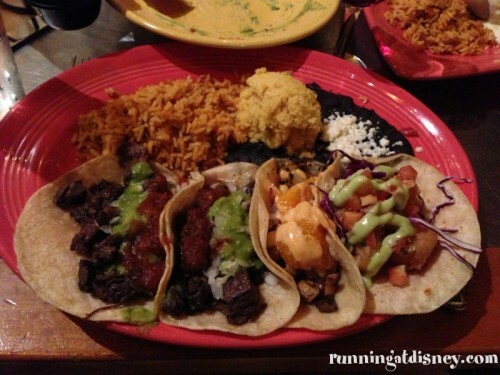 I got a combination of beef, shrimp and chicken tacos, and the beef tacos were by far the best. The shrimp and chicken were just meh. It came with a generous portion of rice, beans and corn pudding. Overall, it was amazing and great fuel for the race! It’s no secret that I LOVE Kouzzina breakfast, so it probably comes as no surprise that this is my go to place for meals before any of the night races at WDW. Before both the 2012 Tower of Terror 10-Miler and the Wine & Dine Half Marathon, I had a late breakfast (around 10:00 am) at Kouzzina. Before I found out about my egg sensitivity, my favorite dish was the Turkey-Sweet Potato Hash, which is topped with a perfectly poached egg and arugula. Drooooooolllll. Perfect fuel for a night race!! Since both those races, I have taken tests that have shown that I have a severe sensitivity to eggs. Booooooo!!! But guess what?? 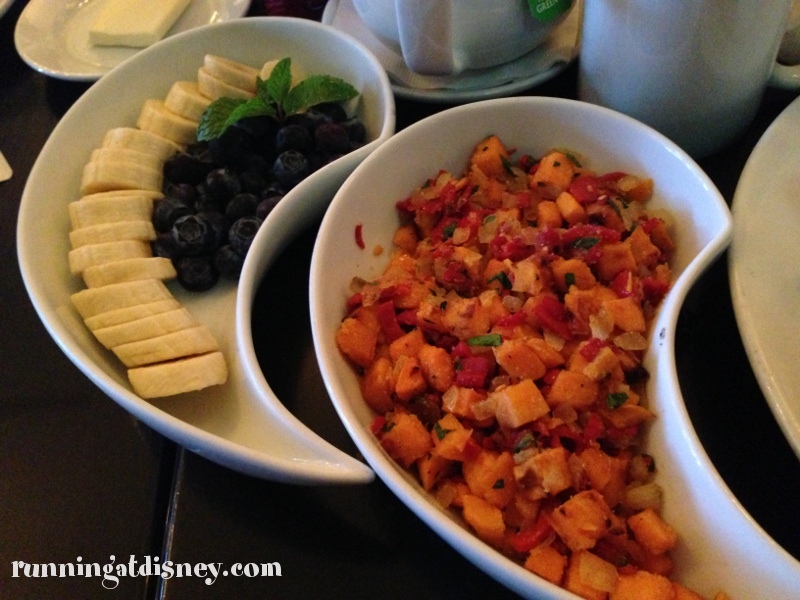 I found out from Gluten-Free & Dairy-Free in WDW that Kouzzina has some of the best allergen free waffles around. And YES they do!! Get these bad boys with a side of that delicious sweet potato hash and you are good to go. 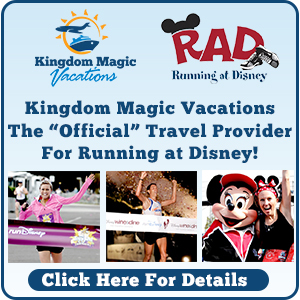 You know where I’ll be for all the WDW races this fall. 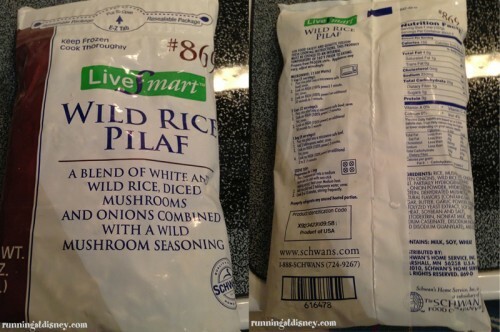 You can read my full review of all the allergen free options here. 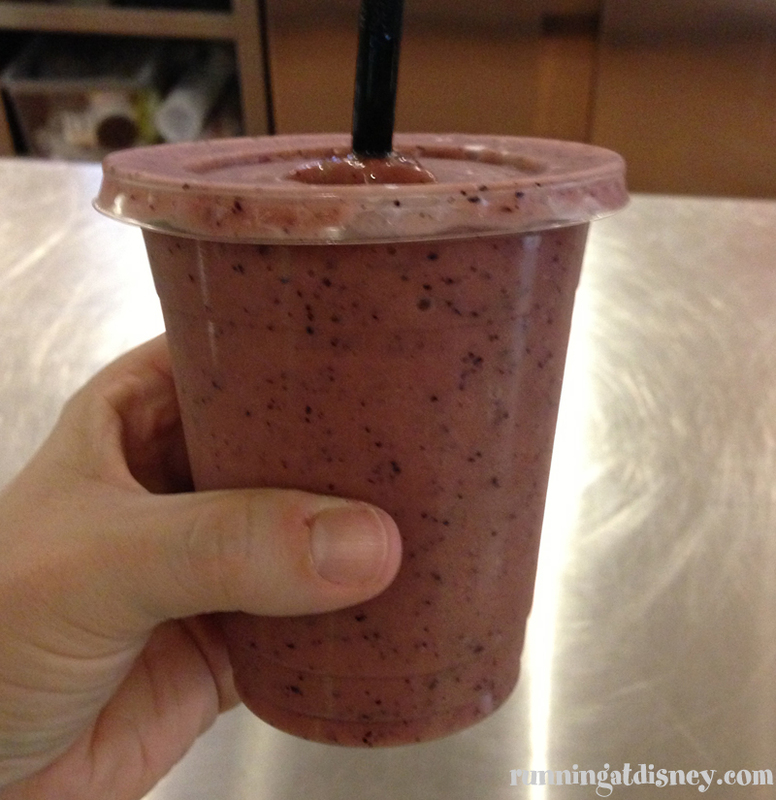 There are so many options at Landscape of Flavors at Disney’s Art of Animation Resort, but my favorite pre-race option is their smoothie bar. I drink a smoothie everyday for breakfast to get me going, so this was a seriously awesome find for me in WDW. 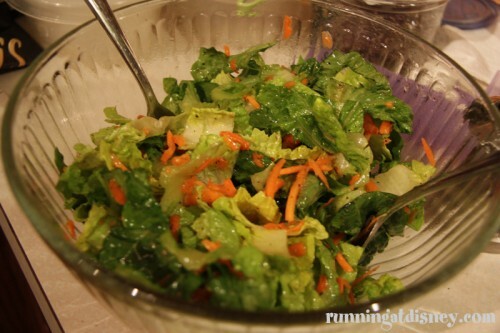 The only bad thing is that they wouldn’t add any spinach from the salad bar in the next station…come on!! But even without the spinach, the mango, blueberry and banana smoothie I had was delicious and a wonderful snack before the Wine & Dine Half Marathon. 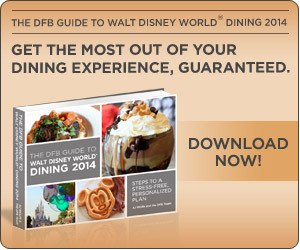 If you’re staying at the Boardwalk, this is an easy option to get a good meal. 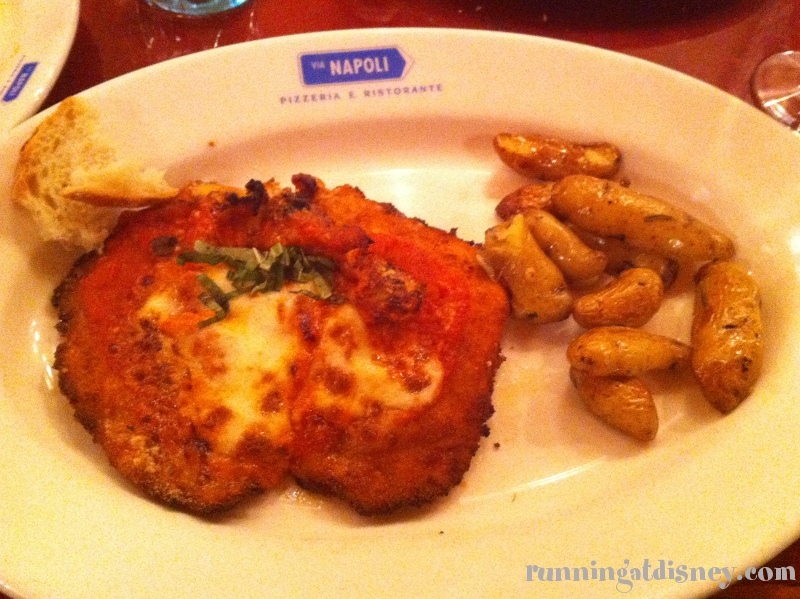 Before the 2012 Wine & Dine Half Marathon, I ate here and ordered the Champion Chicken Sandwich without the bun. I also got the sun-dried tomato pesto and goat cheese on the side so I could limit my intake of that. 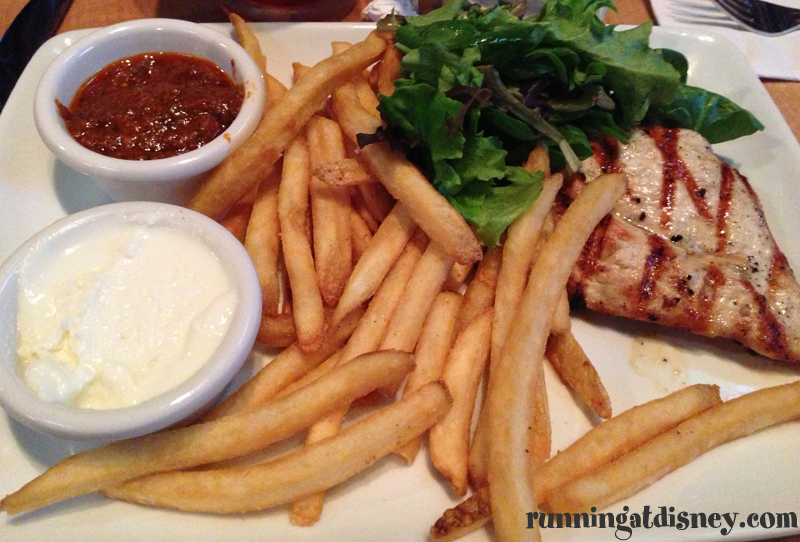 The chicken was very good and the dish was a nice combination of protein and carbs for the race. I just wish they had sweet potato fries! I would also recommend getting your food to go if you plan on dining here before a race. The restaurant is very loud with all of the games going on, so it’s not the best place to relax and get your head together. 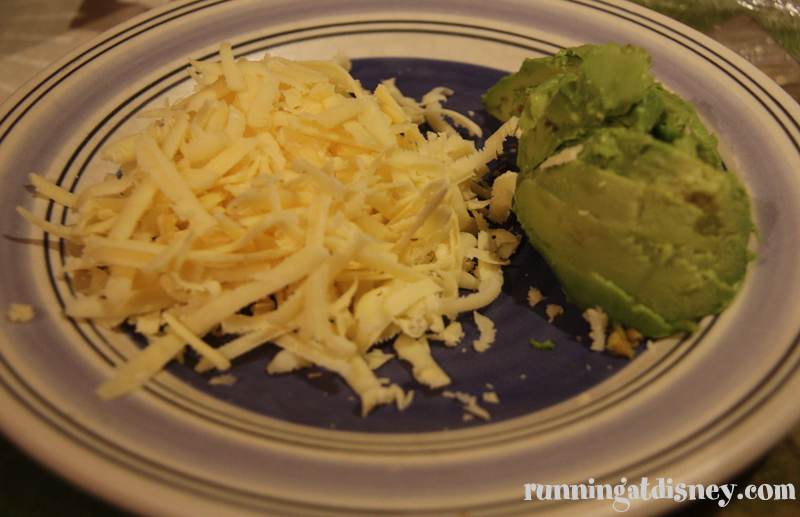 This combo is my must do meal prior to any race. 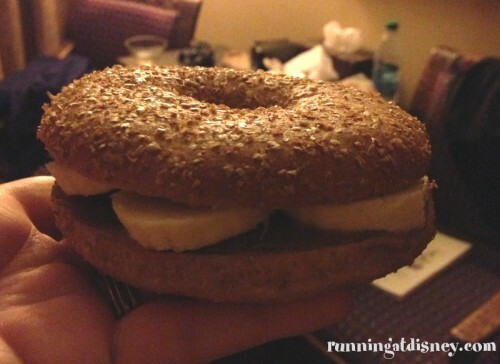 Whenever I’m in WDW for a race, I make a point to stop for some bagels, almond butter and bananas. 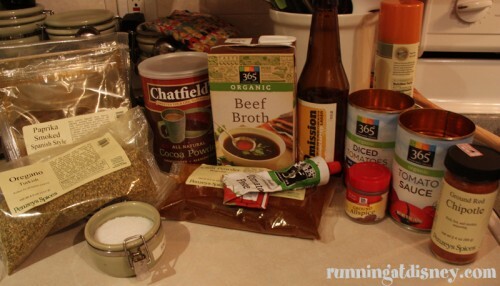 For me, this is the ideal race fuel…carbs, protein, sugars…perfect. 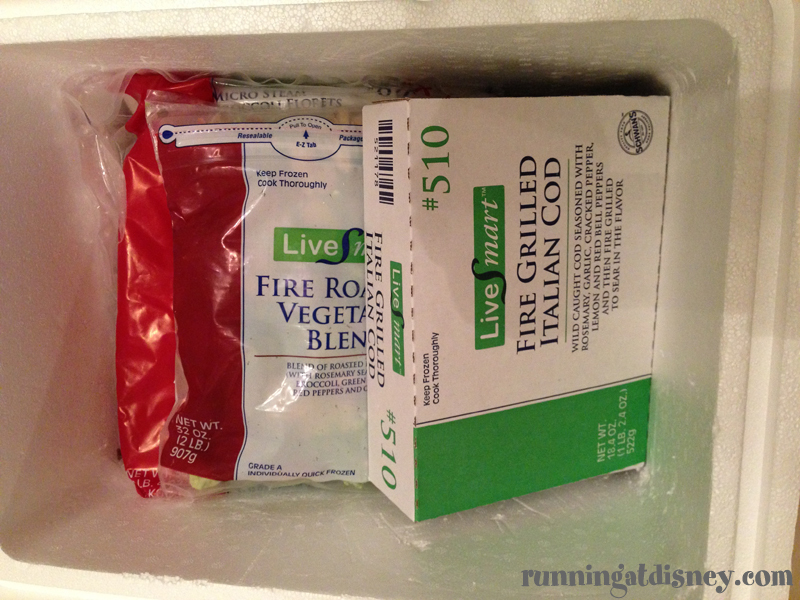 This combo is also great for staying in a hotel room because nothing needs to be refrigerated. 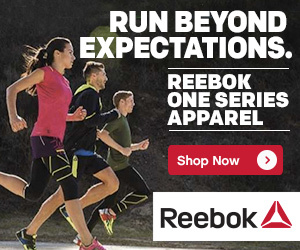 Trust me on this one…you’ll love it! Well those are the restaurants I’ve visited so far prior to runDisney events. 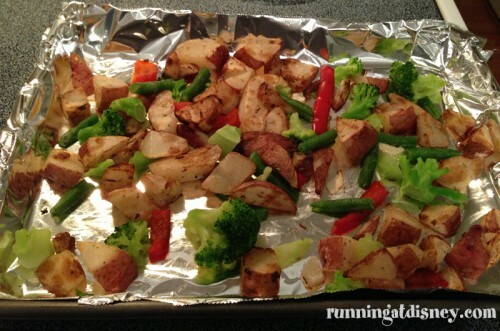 What is you’re go to meal before a race? 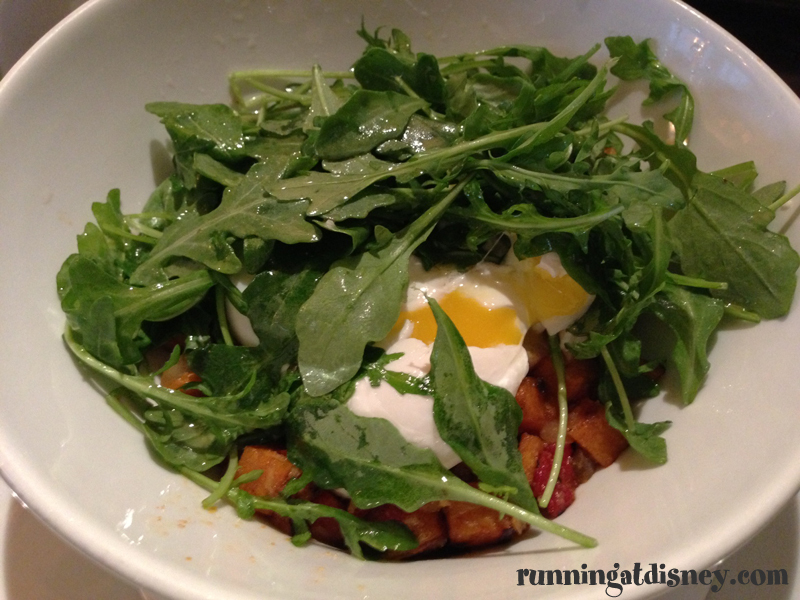 What is your favorite WDW dining location before a race? 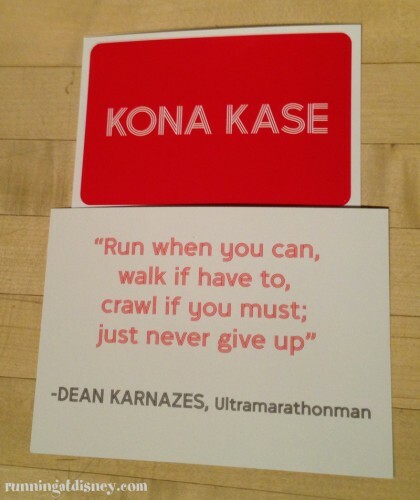 Kona Kase is a company after my own heart. 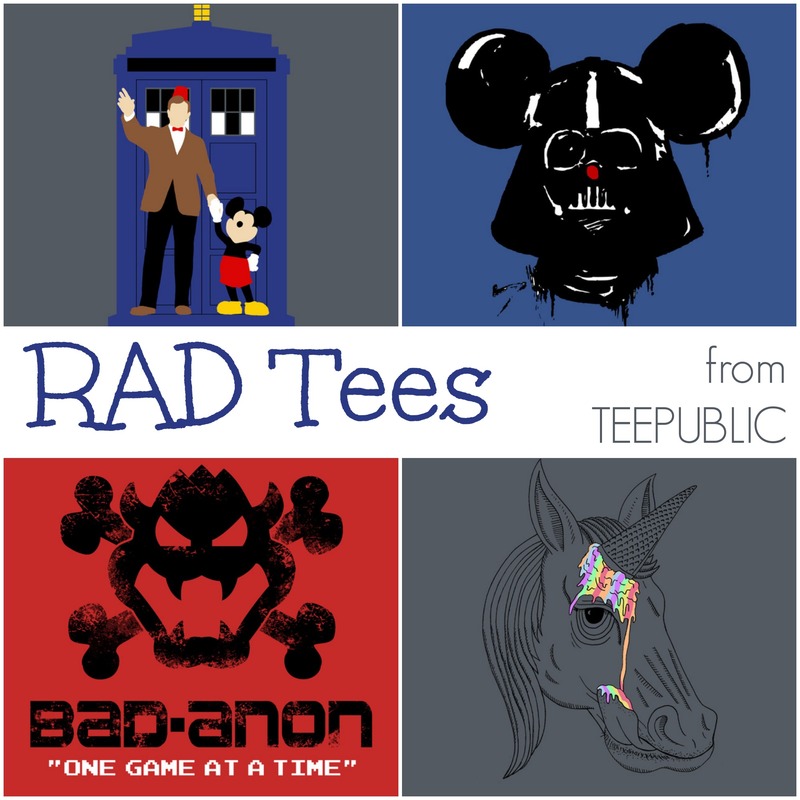 Their mission is “to inspire people to create and maintain a healthy lifestyle.” This is something I continue to work on achieving and hope to inspire others as well with RAD. So when I was presented with the opportunity to try their product, I jumped at the chance. Included were some familiar favorites like a Kind bar, a SoyJoy Blueberry bar and Justin’s Honey Peanut Butter. 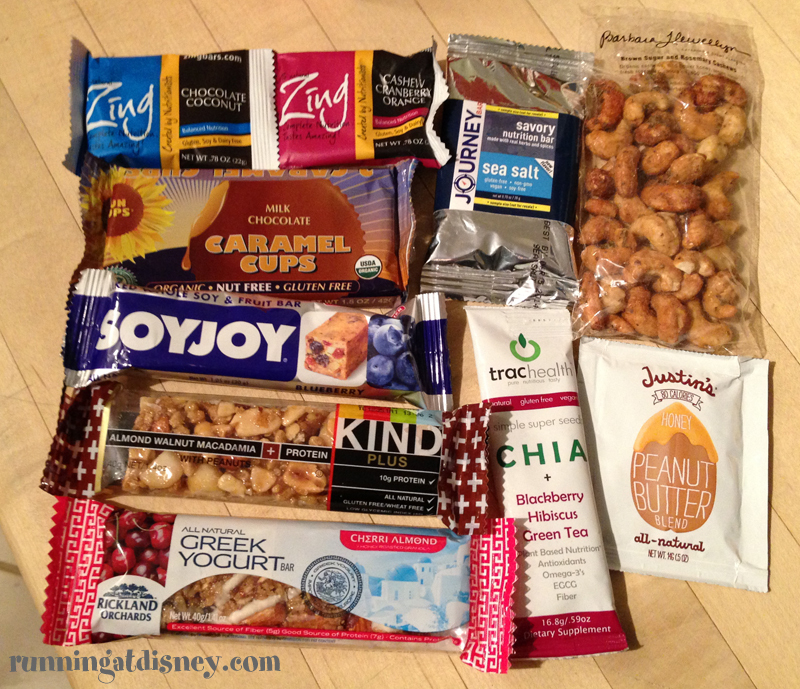 But there were also a few new products like the Zing Nutrition Bars, TracHealth Chia Tea (I love my chia! ), and Rickland Orchards Greek Yogurt Bar. I particularly enjoyed the Zing Chocolate Coconut…YUM! 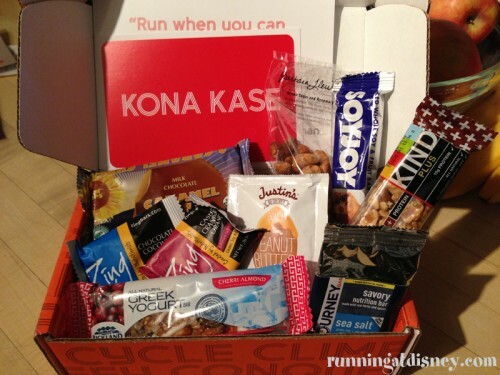 The box I received was a great mix of sweet and savory items for all types of fitness fuel. Protein for before workouts or post for recovery, refreshing tea with antioxidants, chocolate for your sweet tooth 😉 I really enjoyed everything in here! 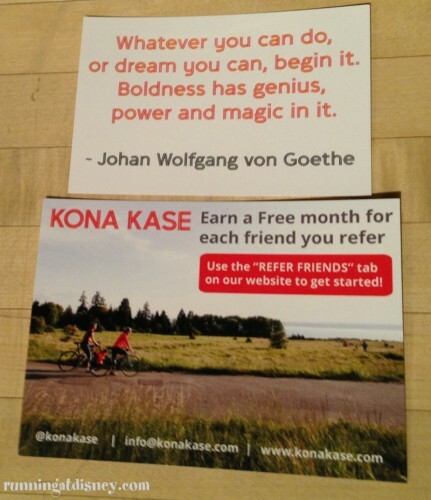 Great news for all RAD readers, the awesome folks over at Kona Kase want to extend to you a discount for your first month! Simply enter the code FF2 at checkout to receive your first Kona Kase for only $10. What item would you like to try? 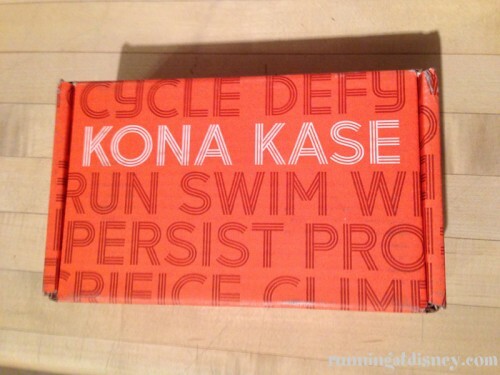 What would you like to see in the next Kona Kase? 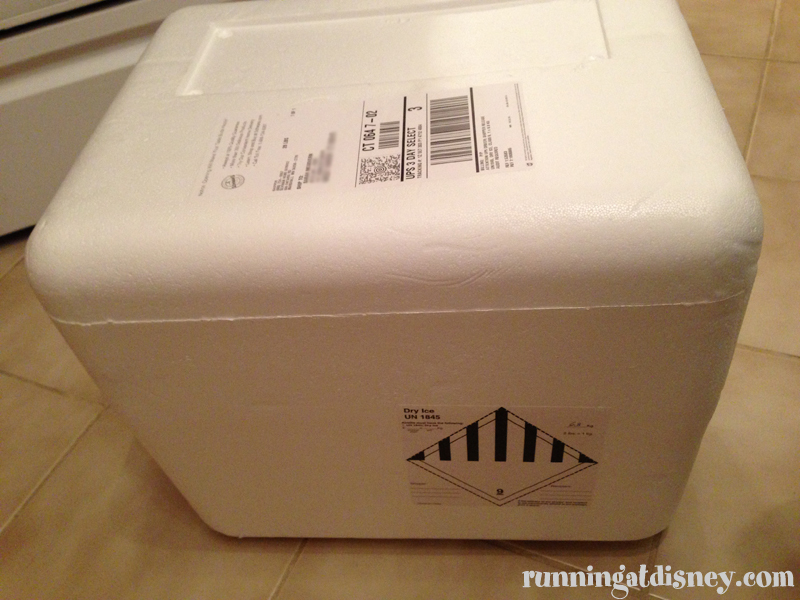 I was recently given the opportunity to try out Schwan’s Home Delivery and I must say was a bit hesitant at first. 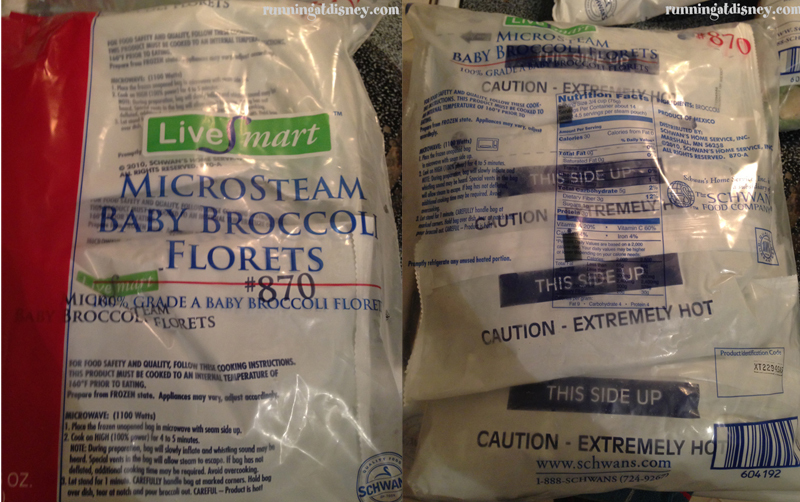 I’ve you’ve read this blog for a while, you’ll know that I’m a big fan of fresh local food, so frozen really isn’t my thing. 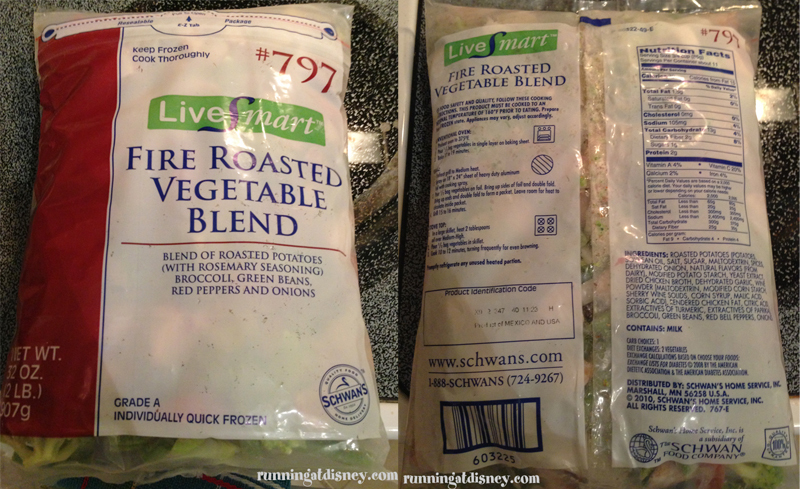 But I’m always open to trying new things and Schwan’s LiveSmart line of products looked like there were some tasty options. I went online to www.schwans.com and chose a few products that I thought would go well together and make balanced meals. All LiveSmart products have a minimal amount of additives or preservatives, a moderate amount of calories, sodium and fat, and zero grams of trans fats. That sounds like a win! 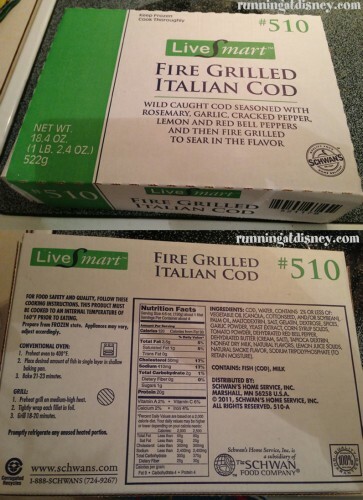 Here’s what I ordered: Fire Grilled Italian Cod, Fire Roasted Vegetable Blend, MicroSteam Baby Broccoli Florets, and Wild Rice Pilaf. 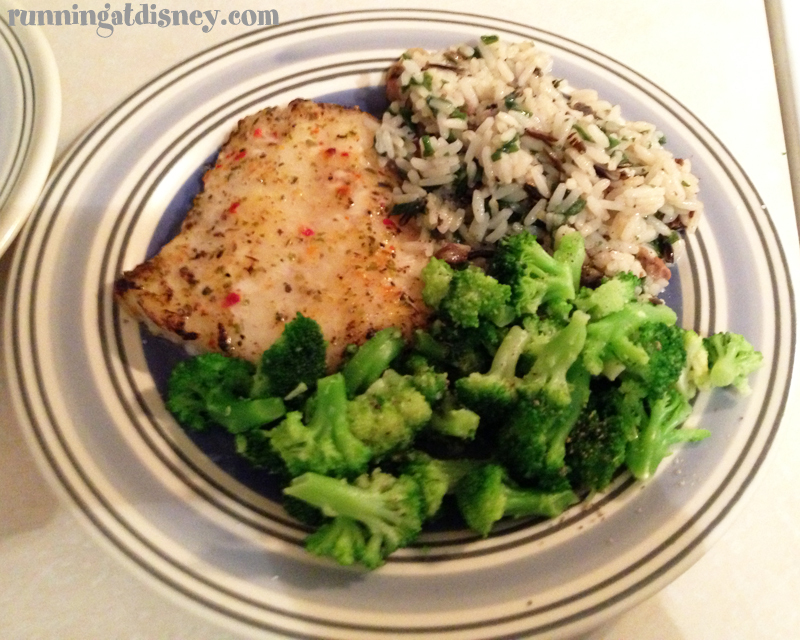 The first meal I was going to make was cod with broccoli and wild rice pilaf. 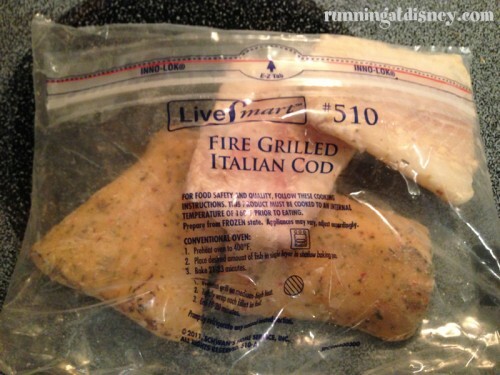 I read the cooking instructions for the cod and was surprised to find that I didn’t have to defrost it before cooking. 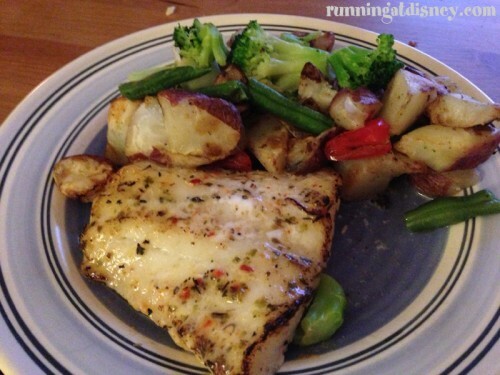 Hmmm… I have to say the cod looked really well seasoned, like something I would do myself. Well I followed the instructions, popped the frozen cod filets in the oven and hoped for the best. While the cod was cooking, I started on the rice and the broccoli…both of which were to be microwaved. I never use my microwave, so once again I’m hoping this will be good. But what I’m also thinking is, this is a really quick and healthy meal! In less than 25 minutes, dinner was served and I was actually surprised at how good it was! 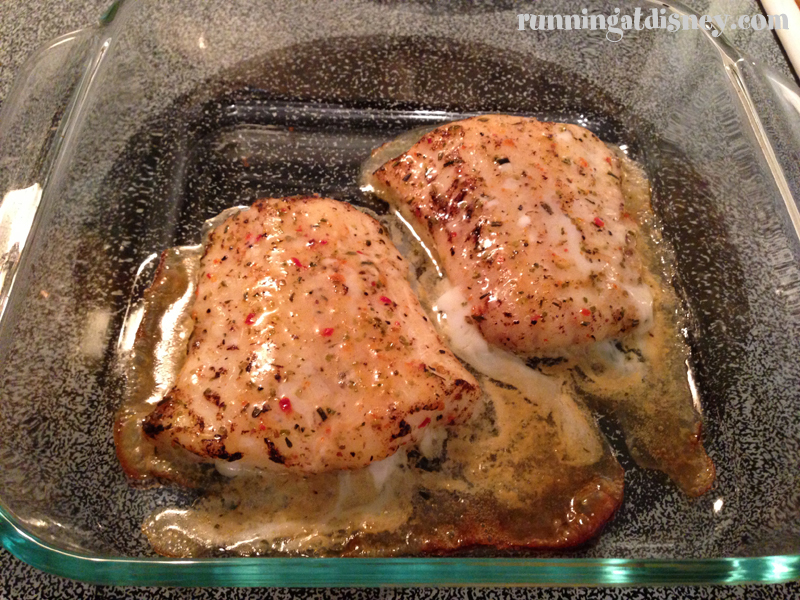 The cod was still moist and extremely flavorful. The broccoli needed a little seasoning and the rice was a little over seasoned, but having them together balanced each other out. While I still prefer making my meals from scratch, this is really a great, healthy option for a quick weeknight meal. 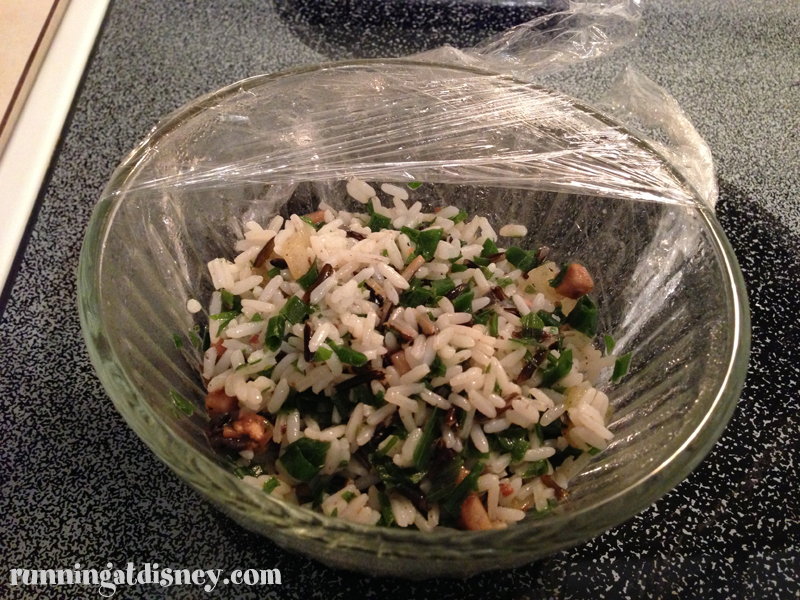 There are many days that I don’t get home until after 7:00 pm and this saves a lot of time in the kitchen! And seriously, I was surprised at how good the cod is. I have had other frozen fish before that is dried out and completely inedible. 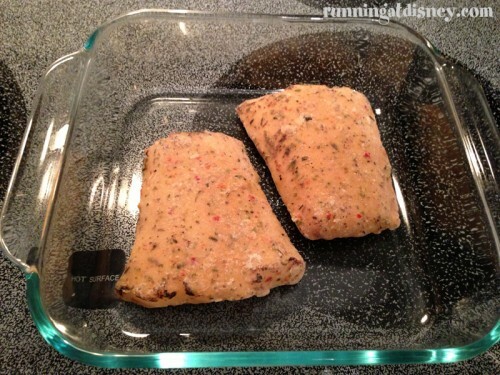 This was still moist and had great seasoning. 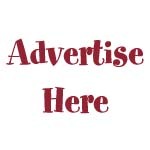 What I really think is great about these products is that they are affordable. Both of these meals cost just over $6 per person. You would end up spending more at a takeout joint and it would probably take more of your time! Have you ever tried a home delivery service? Schwan’s Home Delivery via FitFluential LLC sent me these products free of charge for this campaign. As always, all opinions are my own. 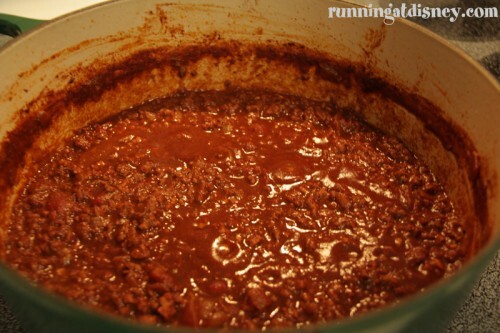 Yes, you read that right…Chocolate Chili. It sounds strange, but just go with me here. My friend Jenn posted this recipe a few weeks ago and I was instantly intrigued. With predictions of winter storm Nemo last week, I figured it would be the perfect time to try it while we were going to be hibernating. Let’s make some chili! I made some tweaks to the original recipe from The Clothes Make the Girl since B severely despises cumin and I didn’t have a can of tomato paste in the house. So I added a few additional spices to replace the cumin along with beer (can’t have chili without it in my book!) and tomato sauce. 1. Heat the coconut oil in a large pot over medium-high heat. 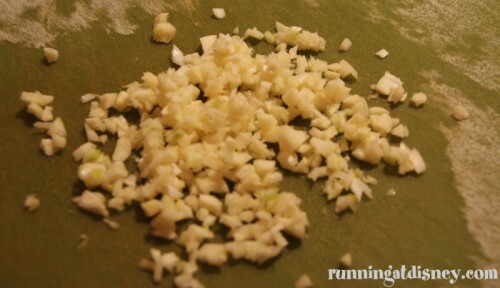 When the oil is melted, add onions, stir with a wooden spoon and cook until they’re translucent, about 7 minutes. 2. Add the garlic and as soon as it’s fragrant, about 30 seconds, crumble the ground meat into the pan with your hands, mixing with the wooden spoon to combine. 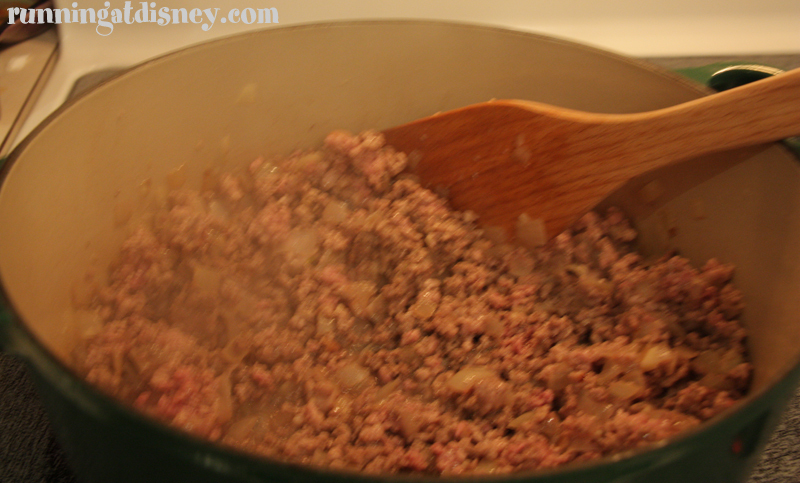 Continue to cook the meat, stirring often, until it’s no longer pink. 3. In a small bowl, crush the oregano between your palms to release its flavor, then add all of the dry ingredients and stir to combine. 4. 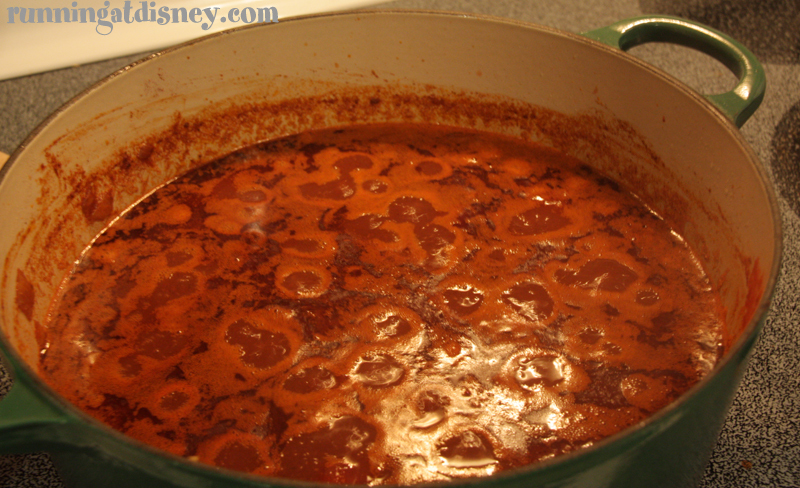 Add spices and tomato paste to the pot and stir to combine. 5. Add all of the liquid ingredients, stir well and bring to a boil. 6. Reduce heat to a simmer and cook for at least 2 hours. 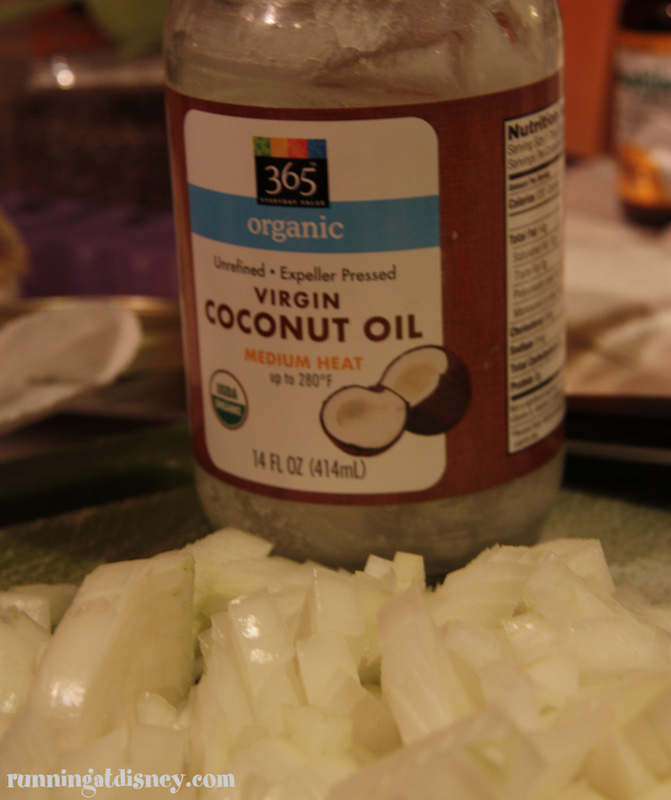 The liquid will reduce significantly and all the goodness will marry together…YUM! 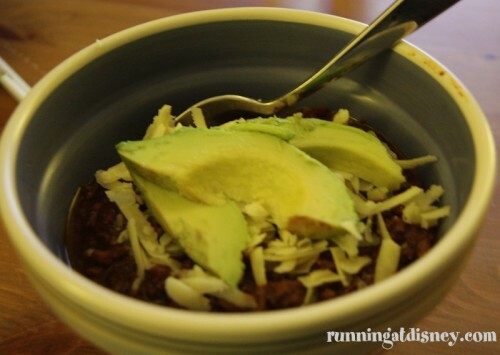 Serve the chili in some nice deep bowls with your favorite accompaniments. I topped mine with some cheddar cheese and sliced avocado and it was perfect. This was by far the best chili I have ever had. 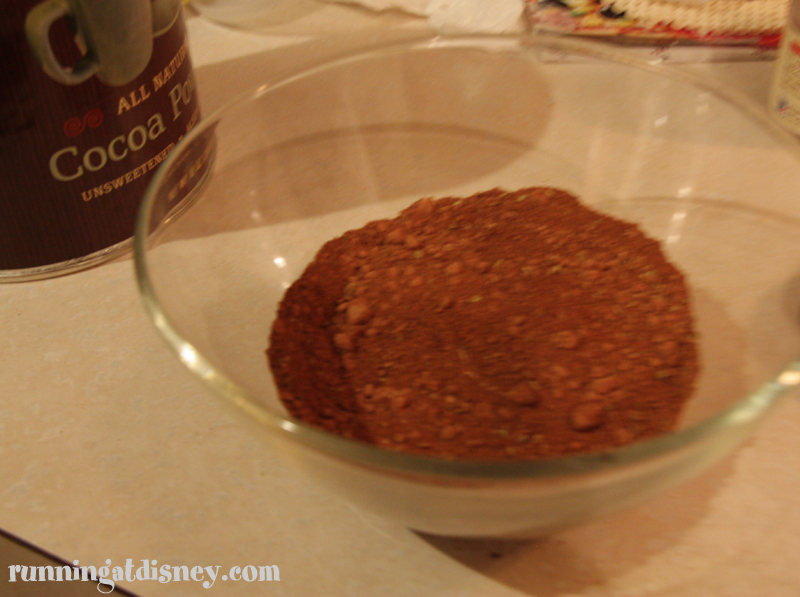 The spices, especially the cocoa, gave it an incredible depth of flavor. It reminded me of a good mole sauce. I served it with a simple green salad with a lemon vinaigrette. I LOVED this chili. In fact, I’m planning on making it again this weekend. It was super easy to throw together, it’s good for you and it’s the perfect thing to warm your soul in this frigid February weather! Let me know if you try this…I’d love to hear how it turns out! A few months ago, B and I had our first breakfast at Kouzzina. I became instantly obsessed. 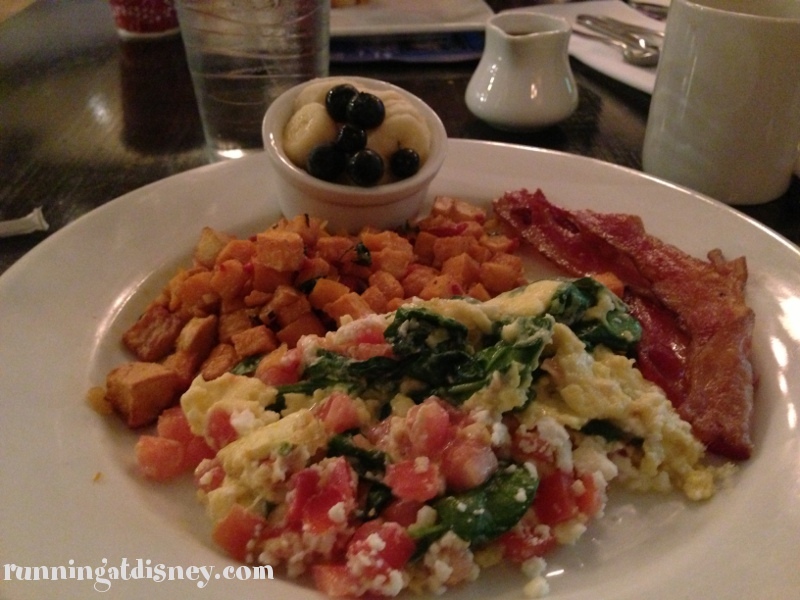 This is by far the BEST breakfast on Walt Disney World property and totally worth the trip over to the Boardwalk Resort. Since our first visit, I found out that I have a severe sensitivity to eggs. I was crushed to find out that I couldn’t have either of my 2 favorite dishes. I had recently reached out to Sarah over at Gluten-Free and Dairy-Free in WDW (a GREAT resource if you have food allergies!) to see if she had any suggestions for breakfast items in WDW. I’ve also cut gluten out of my diet so that was an added challenge. 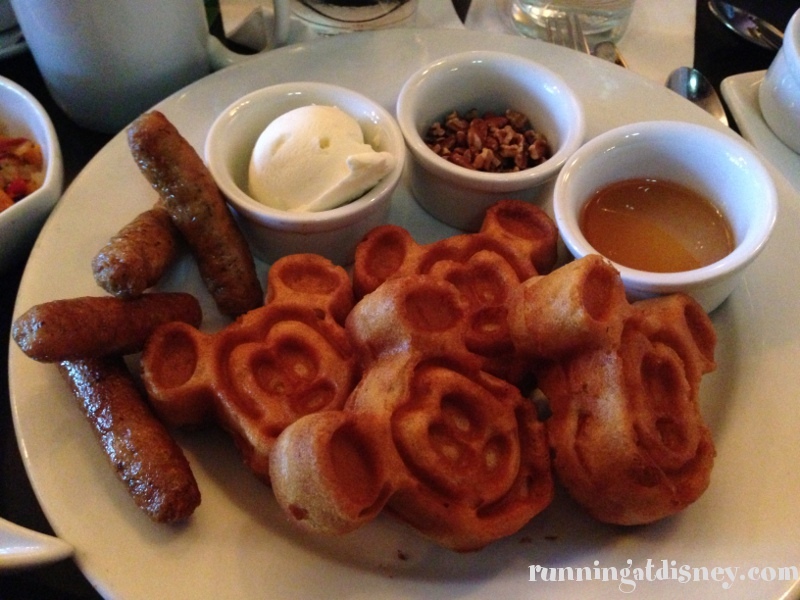 Sarah told me about these allergen-free Mickey waffles that are available at most restaurants and I got really excited! So off to Kouzzina we went. I told our server that I had a few food allergies and he got the chef right away. 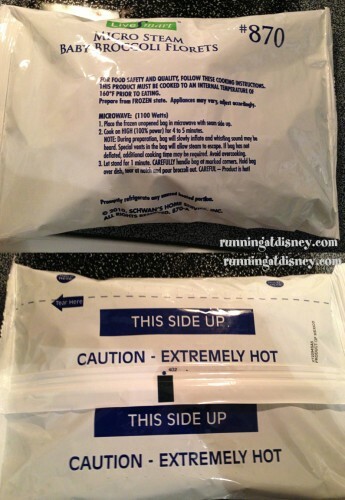 I absolutely LOVE how accommodating Disney is with this. The chef will always come to the table and discuss the menu with you and recommend what you can and can’t eat. I asked him about the waffles and he said he could definitely make those for me. They would come prepared as the regular waffles on the menu with marscapone cheese, pecans and honey…YUM! I asked for all of this on the side as it sounded a bit sweet for me, but I wanted to try it anyway. He also confirmed that my favorite sweet potato hash would be a safe option for me, along with the chicken sausage. I also got a side of banana and blueberries. Look at this feast!! I have to admit that I was skeptical about how the waffles would taste, but they were DELICIOUS! I think I might actually like them better than regular waffles. I’m glad I got all of the condiments on the side so I could use as little or as much as I wanted. The hash was fantastic as usual and I would recommend getting this on your next visit no matter what. I was so excited about this meal that I did a little happy food dance of joy 🙂 Kouzzina still tops my list for best breakfast on property and it’s a great spot if you are dealing with various food allergies. Now if they could just work on the service! 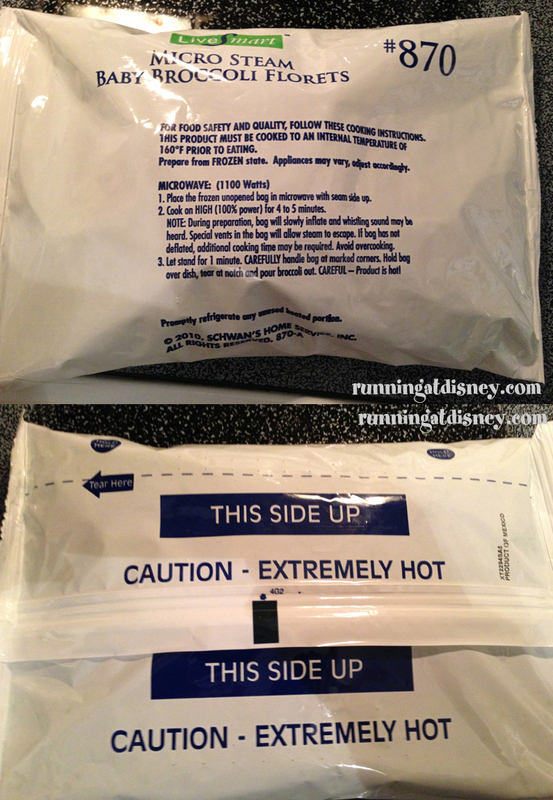 Have you had the allergen-free waffles in WDW?